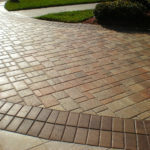 Interlocking Concrete Paver Sealing is a growing and profitable add-on service for power washing contractors. Jon Chapman of Pro Pressure Clean and Seal in Tampa, Florida, started pressure washing part-time in 2003, going full-time by 2005. Initially, Jon focused solely on removing chewing gum, but quickly saw the need for roof cleaning, then deck and dock sealing, and now window cleaning. However, his biggest growth opportunity occurred in 2008 when he discovered the interlocking concrete paver sealing market. Today, paver sealing makes up as much as 60 percent of Jon’s business. He says a typical job, such as a pool deck with patio, takes around one to two hours to aggressively clean, depending on the amount of problems or neglect. The sealing takes one-half to one hour, “and we’re done. Five to seven hours total with an average ticket of $1000 on a typical pool deck.” And the product line he uses is by Seal ‘N Lock. Jon turned to Seal ‘N Lock after several unsuccessful attempts with a number of other products. First, he tried solvent acrylic sealers, but his customers began calling and complaining about “white blush” – i.e., white spots that appeared on the pavers due to trapped moisture under the acrylics. 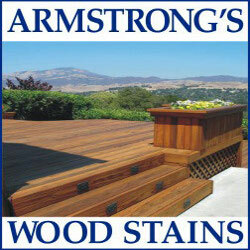 Solvent-based sealers require that contractors first wash the substrate in order for the sealer to adhere to it. Then they must wait several days for all of the moisture to evaporate from underneath. “It’s very hard to measure whether the moisture is all gone because although it can look dry, there still may be moisture underneath, which causes the pavers to turn white,” explains Russ Heitman, Director of Strategic Development for the Seal ‘N Lock (SNL) System Corporation. That’s why Jon switched from solvent-based products to water-based sealers, but but he wasn’t happy with those either. “They didn’t have much shine and they were way too difficult to apply to make it profitable for me,” he says. Another difference between SNL and other sealers, according to Russ, is that it is a two-coat process – that is, two coats of the same product – and it’s easier to apply than other products. In fact, contractors are encouraged to walk on the product between coatings to ensure the sealer does not pool in low spots, which can cause the pavers to appear darker than in higher areas. Although the SNL course has a list price of $249, for 2011 it’s being offered at a greatly reduced price – even free in many instances – and is being offered as part of the PWNA flatwork cleaning certification course in Nashville. (A FREE class is also being offered in Scottsdale, Arizona on September 24 and in Charleston, SC on September 30. “It is a professional-grade product and therefore we highly recommend that contractors get trained on the product before using it,” says Russ. 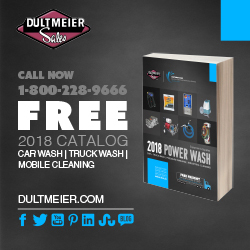 “By taking the class, you learn tips, tricks and techniques, get registered for leads in your area, and receive ongoing training offerings.” Participants also get a 74-page manual, as well as access to the Seal ‘N Lock team. “We want to walk you through that first job,” stresses Russ. Additionally, for 2012, SNL will be adding even more value to their contractors’ toolboxes by offering products that not only enhance the paver’s current tint, but can actually recolorize it. “This will add tremendous value to the course and to the contractors’ list of services,” Russ adds. Interlocking concrete paver sealing is a growing trend for pressure washing contractors. It’s not only a natural add-on service, it solves the all-too-common problem of ruining sand joints when power washing pavers. Jon said adding paver sealing to his business came fairly easily, as he only approached his current clients at first. Then he added the service to his website and worked hard on his SEO (search engine optimization). “Now I am almost always on the first page of Google in my area,” he adds. While Jon still offers pressure washing and roof cleaning, he says he can now turn down the small jobs. “It seems like there are billions and billions of pressure washers in Florida and the pricing is ridiculous,” he adds. In a saturated market, paver sealing has given Jon a competitive edge. “Its profitable, and fun. 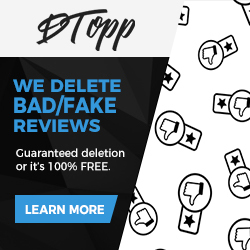 I like my work, and I’m good at it,” he adds, pointing out the positive customer reviews he’s received on sites such as Angie’s List. To learn more, or to sign up for an upcoming training course, visit Seal ‘N Lock’s website at http://sealnlock.com or call them at 813-852-1500. To learn more about Pro Pressure Clean and Seal, visit http://roofsanddecks.com/index.html.